The University of South Carolina Student Success Center is a comprehensive one-stop-shop for academic support on campus. They provide students with peer tutoring, supplemental instruction, study skill consultations, money management consultations, and transfer/veteran student success services. At the University of South Carolina, the Student Success Center develops and facilitates programming and resources to prepare students for success during and after college. 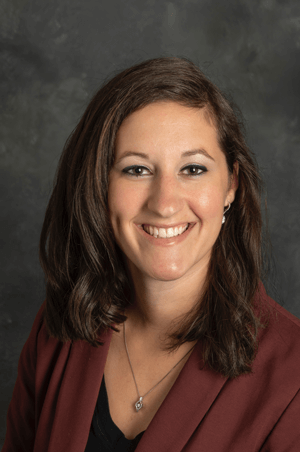 The Assistant Director of Marketing and Operations at the success center, Liz Carmon, works with multiple program directors, internal staff, and graduate students to promote and execute their many events and initiatives. With multiple programs, collaborators, and tools to manage projects, their previous processes were chaotic and disjointed. Keeping track of their marketing and event project requests in Google Forms, spreadsheets, and email was not sustainable. “We were going back and forth working with people on campus and in our office while updating forms and spreadsheets. Things got lost in translation, and we were all over the place and wasting time.” Liz Carmon, Assistant Director of Marketing & Operations at the University of South Carolina Student Success Center. With CoSchedule, the team was able to consolidate all of their communication and task management into one place. Tasks get added to CoSchedule, so every person on the team knows what they’re responsible for completing. And Liz can quickly see if tasks are completed, approved, or pending approval; making it easy to jump in when projects need help moving forward. Now that all projects and events are added to CoSchedule, the entire department has a real-time view of what’s in progress and what’s on deck. The team even reviews the calendar during bi-weekly meetings to keep staff, interns, and grad students up to date. All-in-all, moving everything into CoSchedule creates one source of truth to keep the entire team aligned on priorities, initiatives, events and programs. The Student Success Center constantly partners with other organizations and offices across campus on larger-scale initiatives like Orientation, Move-In Day, and Admitted Student Day. These large, multi-department projects have a lot of moving pieces and involve a lot of different stakeholders and collaborators. Before CoSchedule, they managed deadlines and requests through a series of Google Forms, Google Sheets, and email threads. Now they keep things organized in Marketing Campaigns. “I can add individual projects where I’m working with different people from multiple programs. And it’s all in one spot, which is really helpful,” continues Carmon. Now visualizing and meeting deadlines is a breeze. With Marketing Campaigns, Liz can see how every project overlaps and interacts with one another. For example, Orientation Week : The campus newspaper ad needs to be completed before the on-campus digital images. And the giveaways for orientation need to be ordered prior to event start date. And because every project in a campaign has a unique timeline, this view helps keeps things on track. They can strategically map out each project in the calendar view so it’s easier to prioritize their projects and meet deadlines. Even when it requires additional time to collaborate with people outside of their team. Switching to CoSchedule didn’t just clean up their workflow process. It streamlined their social strategy, too. Before CoSchedule, the team used Hootsuite to manage their social – which added yet another tool to their marketing stack. Now they schedule all of their social media inside CoSchedule. “Being able to setup and plan social media in the same platform as our other projects is key.” Liz Carmon, Assistant Director of Marketing & Operations. But the transition came with an unexpected bonus feature – Pause Social Media. As a university, the team needs to be able to adapt their social strategy fast in the event of a campus emergency. And the Pause Social Media feature gives them the ability to stop all outgoing messages from publishing. In the past, they’ve used this feature to stop outgoing social messages when campus has been shut down due to bad weather. But it gives them peace of mind if there were to be a more emergent situation on campus in the future.